Happy New Year everyone! It's an extra special new year for me. Sentimental Stitches will be 20 years old in 2016. It's hard for me to believe so many years have passed and I plan to spend the entire year sharing the best of everything with you. It wouldn't be much of a celebration without presents so I'll have a drawing each month throughout the year for something special. It might be a book, a pattern, fabric, even a quilt! Be sure you're signed up to the newsletter and like the Sentimental Stitches Facebook page so you won't miss your chance to win. Let's get started! Leave a comment on this post or comment on the Facebook post about the contest telling me what kind of quilts you like to make or if there's a quilt design you wish was available. 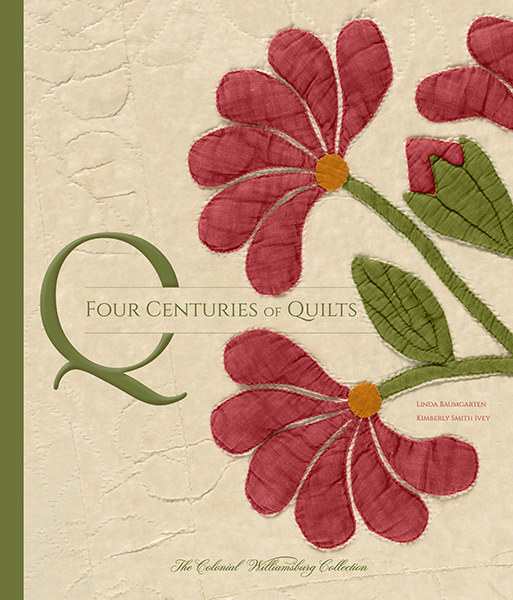 You can leave comments until January 20th and then I'll draw for the winner of the Four Centuries of Quilts book. I've always had a soft spot in my heart for quilts that have seen their better days or have some strange quirky thing about them making them unique. How many of you have seen this quilt floating around the internet on Pinterest, Facebook and other places? Only a few of you knew this interesting, machine quilted treasure came to live at Sentimental Stitches. I can't think of a better time to share it with all of you than now. I've started researching the signatures and believe the top was made as a wedding quilt for a girl named Laura. 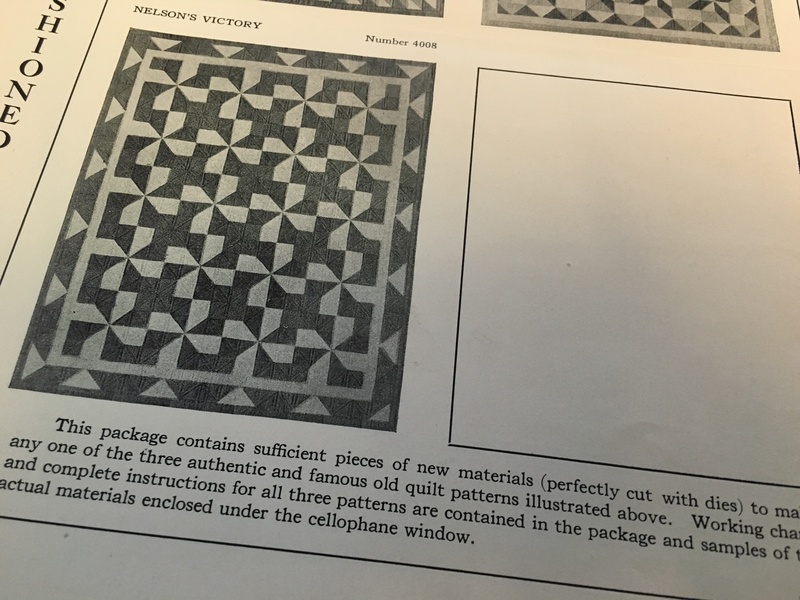 I'll tell you about that as we go along but the first blocks for The 1857 Album Quilt are ready for you to download - just click on the quilt name. I'll post 3 or 4 blocks each month for the next 20 months. The block sets will be free for one month and then they'll be retired to the Online Store so you can purchase them if you miss any. I'll be recreating this quilt with you as the blocks are posted. I'm pulling fabric from my stash (I'm using more prints than solids) for each block and you can "Stitch from my Stash" too by signing up to receive printed patterns and the same applique fabrics I use in my blocks. I can only take a limited number of people for this and you'll need to sign up during the month of January so I know how many kits I'll need to cut each month. Remember, it's only Clutch, Zoe, Violet and me putting kits together and stitching blocks. Truthfully, they'd much rather play than work. On the 15th of each month you can download a pretty little floral embroidery design to make Vintage Blooms as part of the anniversary year celebration too. I'll post two block each month for 10 months in honor of the 10 years I've had the web site. A long time ago I came across a group of small floral embroidery motifs from the Wurzburg Company. 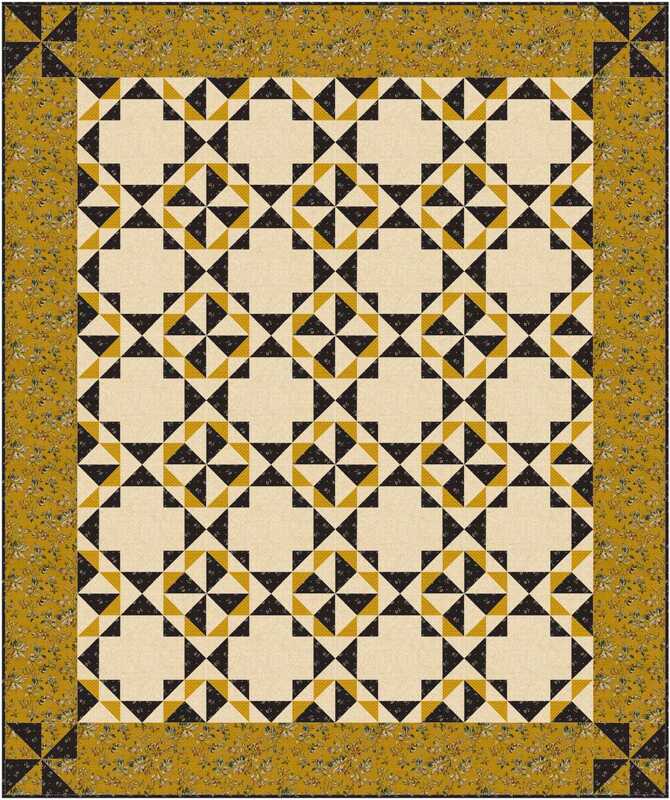 They looked like they went together but I haven't been able to find a quilt where Jane Wurzburg used them so I finally designed one for them. It's not a big quilt (Finished size 47" x 56") but I think you'll enjoy it and the little blocks are perfect for beginners to hand embroidery and a fun break for someone who does embroidery all the time. 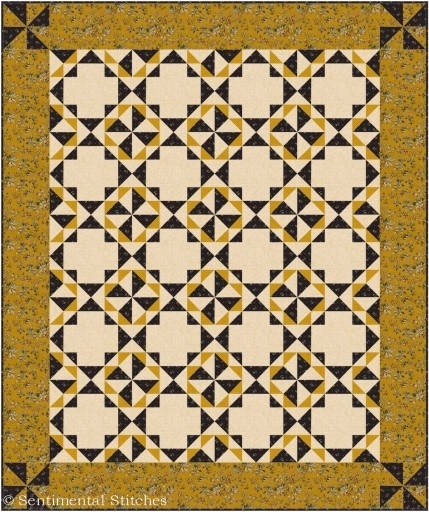 The blocks and instructions for this quilt will always be free on the web site even after the monthly postings have finished. 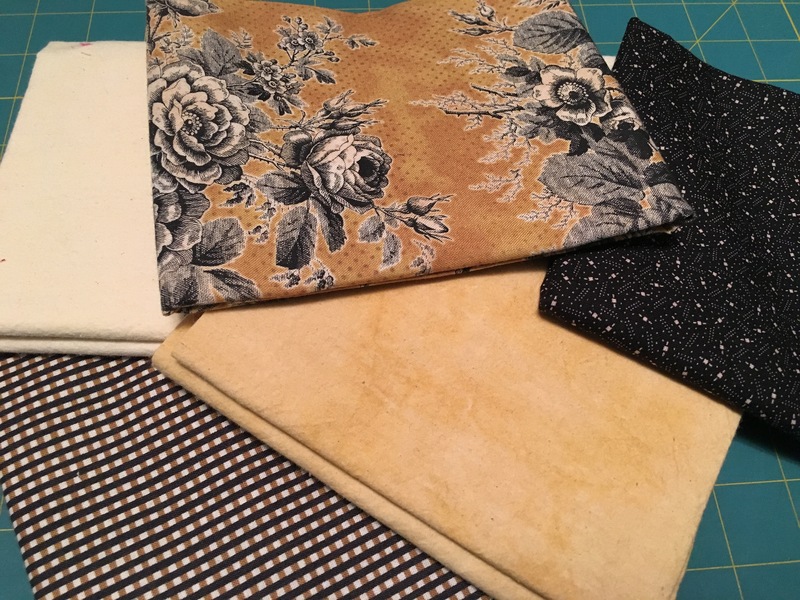 I have a beautiful, toasty gold and black floral print I want to use for this quilt and will do my embroidery in black thread but the quilt would be darling in red and white or use 1930s prints to make scrappy patchwork blocks and do your embroidery in a variety of colors. 1930s Precuts? 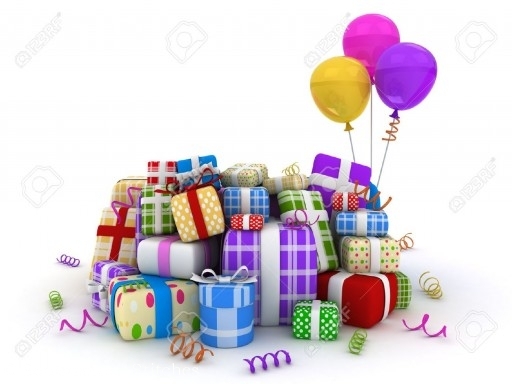 Most of us think things like charm packs and layer cakes are something new. The names are new but the Wurzburg Company was selling precuts in the early 1900s. Each quarter during 2016 I'll post instructions for some of their "perfectly cut with dies" kits for you. I may have to change the sizes a bit to work with the precut fabrics available today but they'll still be fun to make. If only I still had the monster machine we lovingly called "The Clicker", I'd click out the fabric pieces for you in a matter of minutes! Ahhhh, memories....... I'll save the story of "The Clicker" for one of the videos or family history stories I've vowed to complete this year. I'm not getting any younger and I need to make sure more things are added to the My Life in Stitches page. 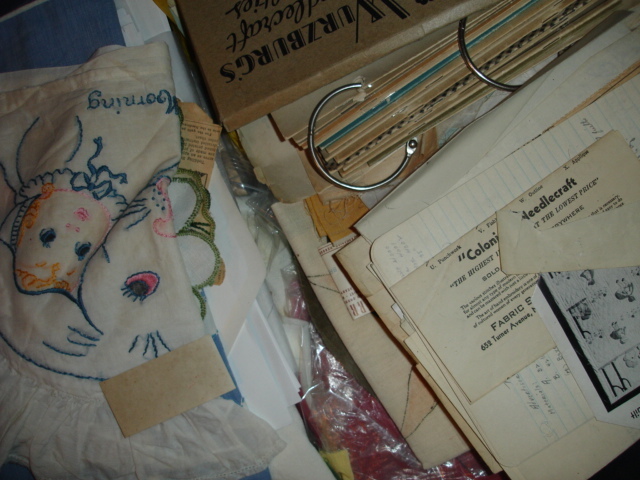 You can't imagine how much I've saved and collected over the last 40 years! 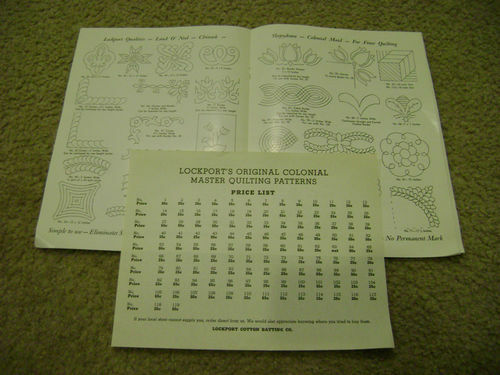 I may be crazy, but I think you need to know how quilting stencils and kit quilts were first manufactured. I no longer have one of the original machines used to cut a stencil (we can fake that with a sewing machine) but I do have the equipment to stamp kit quilts and the master patterns used to cut quilting the stencils. I believe it's important for future generations of quilters to have access to that information so filming plans have been made. It was a common thought shared between my father and I that - "The future is in our past". Think about it ..... and all the things you can now do because of what was learned in the past. This is getting really long and computer time cuts into our stitching time but I don't want you to miss out on anything so here's a list of some of the things planned so far. I'll be back soon adding to the list. It's going to be a very busy year. I'm excited to celebrate 20 years with you and look forward to every minute. Happy Aniversary!! I love applique and piecing; I am fond of antique quilts. I have been quilting for 35 years and have done all kinds of quilting. I especially enjoy doing applique and also embroidery work so excited about the 1857 quilt patterns and also Vintage Blooms. Thank you for sharing your patterns with us. I’ve been visiting your site for years and it never disappoints! 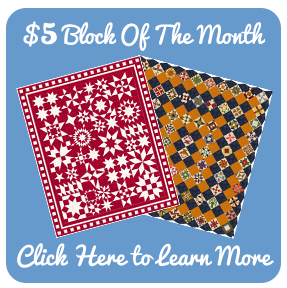 Anxious to try your newest block of the month. The album quilt looks glorious. Appliqué quilts, wall hanging etc. are my favorite. Will try your 2016 year celebration quilt. Thanks for the awesome patterns. And congrats on turning twenty. So young! I enjoy all of your patterns- thank you for the chance to win this wonderful book! Great book…thank you! 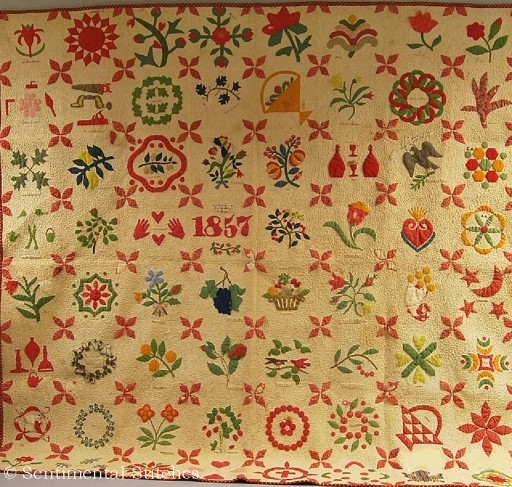 I am excited about the 1857 quilt…maybe this will be the year I take that plunge! 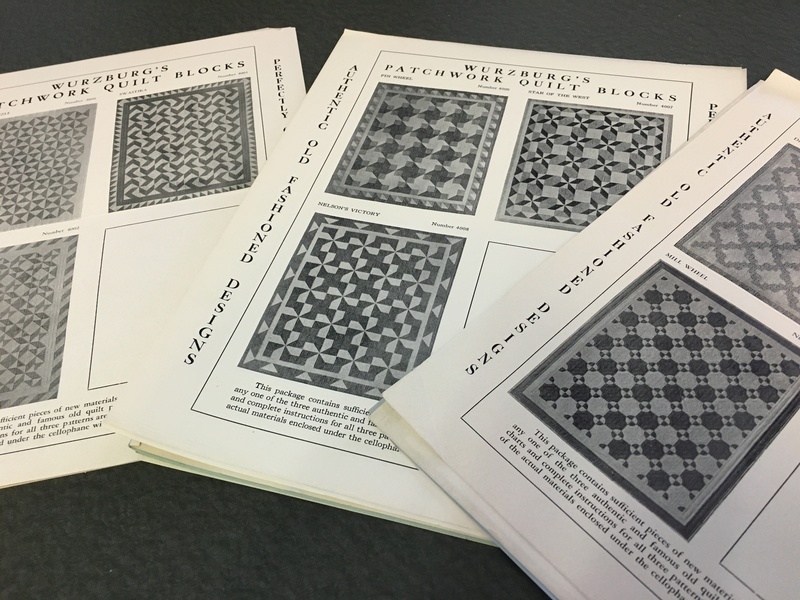 Congratulations on 20 splendid years and thanks for all the great patterns you have provided. Happy #20…! thanks for your inspiration! Congratulations on your 20 year anniversary! Thanks for all your inspiration! 201 queries in 0.921 seconds.